Harmondsworth UB7 After Builders Cleaning Commercial & Domestic | Quality Property Care Ltd.
Get in touch with our company now by calling 020 3746 4287 and get your property normal again with out professional after renovation cleaning service. We use only the finest of liquids to guarantee you get what you’ve called us for. This is an after building cleaning service which focuses on removing hard to extract stains from carpets, like heavy construction dust, paint and even plaster. All of our procedures are done with hazardous chemical-free liquids which protect and empower the fibers of your rugs or carpet. We also have a comprehensive cleaning for the full property including wall washing, pressure washing, steam leaning, window cleaning, hard floor cleaning, tile rubbing, upholstery and carpet cleaning, driveway and patio cleaning, wood floor polishing, rubbish removal, night cleaning. This is the ideal after construction or renovation cleaning service for people who simply want to get their life on track and want a efficient and fast cleaning job. 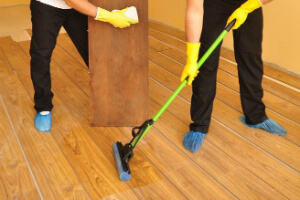 We can work only after building work has completely ceased as any interference with our cleaning may lead to further contamination of the property and make the work harder. In terms of scheduling you can contact us, enjoy same day booking with minimal hours available, deposits or contracts required, no strings attached. Bath rinsed, left shining and cleaned, with shower recess scrubbed, all shower fittings and glasses cleaned, with special attention to the vanity and basin. Toilets are taken care of with disinfection and proper scrubbing including their base and around the outlet pipe and behind the tank, with a proper polish for all mirrors. We provide vacs for floor mopping and hoovering with an eye for the finer details like light switch and power socket cleaning. Fittings and tiles will be cleaned and left shining, waste bin cleaned from any leftovers and paint and left shining with additional attention to door frames bottom to top. The company Quality Property Care Ltd. offers very efficient and highly professional mestic and commercial post-renovation cleaning services in Harmondsworth UB7 and the area. The cleaners are all very thoroughly vetted, trained, monitored and assessed. They use the latest cleaning technology and yet safe and very efficient (for the environment, you, your pets) cleaning solutions. The after builders cleaning service is very well structured and organised, which allows the team of completely insured cleaners to be as expedient as possible and to deep clean the premises and make them liveable as soon as possible after the builders have finished their job. Kitchens also get a special treatment, with attention to range hoods and stove tops cleaning, backsplash and bench top cleaning. In case some plaster or paint has gotten on the cupboards, we wipe their fronts down, including a specific finish to keep them safe from dirt, the exteriors of fridges are polished and cleaned if the finish allows it. We clean outside and inside of the microwave oven, with the sink left shining free of junk and debris. Again we pay attention to the finer details like fixtures around the kitchen, door handles, on top of door frames, fingerprints cleaned from doors frames and light switches, with floors vacuumed and mopped. All of the window sills are wiped down to ensure full cleaning.